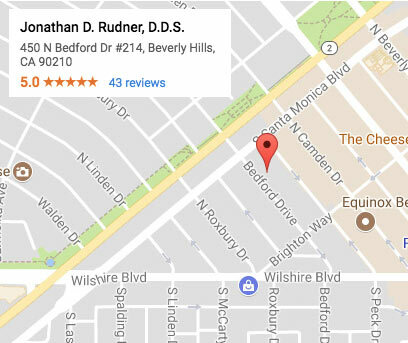 About our Beverly Hills Cosmetic Dentist | Jonathan Rudner, D.D.S. Superb Cosmetic Dentist in the Beverly Hills. I was born and raised in Los Angles and earned my Bachelor of Arts in Biology from the University of Southern California. After USC, I continued my studies at the top-ranked New York University College of Dentistry where I achieved the title Doctor of Dental Surgery and was honored with membership in the Aesthetic Honor Society. I was also recognized as one of the College’s top dental students. While I was in New York, I met my amazing wife, Danielle. Since 2007, we have been back in the Los Angeles area where we started a family of our own while also distinguishing myself as a leading cosmetic dentist in the Beverly Hills, Santa Monica, and West Los Angeles area. 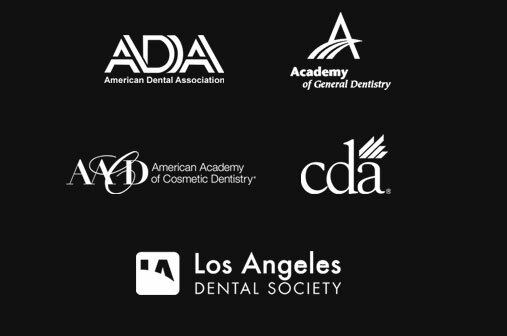 As a member of the American Dental Association, Academy of General Dentistry, American Academy of Cosmetic Dentistry, California Dental Association and Los Angeles Dental Society, I strive to provide the highest standard of care and quality of work to my patients by using the latest techniques, technology and materials in dentistry today. My experience and technical education allow me to practice on solid principles of compassion, comprehensive care. Dr. Rudner continually strives to improve his dental knowledge and expand his training as a cosmetic dentist so that he can provide top-notch care to all of his patients from West Los Angeles, Santa Monica, Beverly Hills and other nearby areas. Thanks to his extensive training and background, Dr. Rudner excels at performing many aesthetic dental treatments, including teeth whitening, dental bonding, and placement of porcelain veneers.